After many years of pondering and the last few months writing, quilting and photographing, I am happy to announce the much hinted-at Fall Release … a new book (and supplemental workbook)! Wait, really? Well, yes. 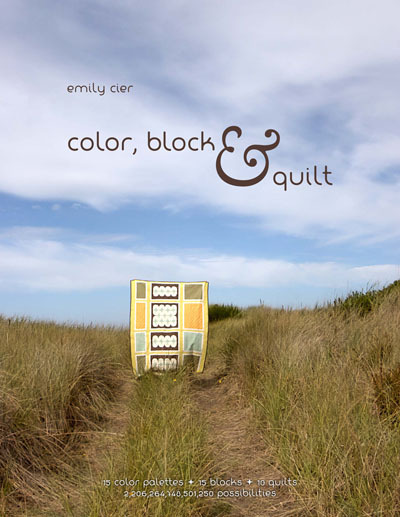 Color, Block & Quilt gives a perspective on three different aspects of modern quilts — color schemes, block designs, and quilts — and then puts you in the driver’s seat to come up with your own unique combination. Choose one of 15 different color schemes inspired by the varied beauty of the Pacific Northwest. Next, pick and choose from 15 different brand-new modern block designs, ranging from whimsically swooping curves to art deco-inspired tilings. Finally, pick a quilt design to serve as a framework for your creation. You’ll have everything you need to fuse these elements together into a totally unique quilt project that’s unlike what any other reader of this book will ever come up with. Think of this as your map. Bring along a little bit of creativity and a fondness for modern quilts, be ready for some fun along the way, and once you’re done, you may just find yourself delighted with what you’ve created. 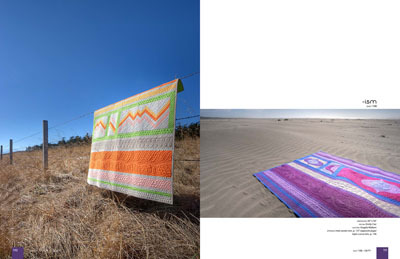 Some highlights of note… All the projects are made from Robert Kaufman’s Kona Cotton Solids. This is a super-colorful book! Angela Walters did all of the quilting. 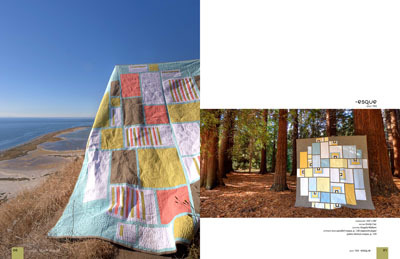 Lots of beautiful quilts with amazing quilting throughout the book including a 15 page Quilting Gallery to inspire you. Modern Rose Garden has been a top-seller since it was released in 2008 and I’ve had numerous (bazillions, actually) requests for a bed sized version. Quilt 103: -esque is it. It’s a beautiful quilt. I’d make it for us if I didn’t just re-do our bed. Architects need blueprints. Writers need drafts. 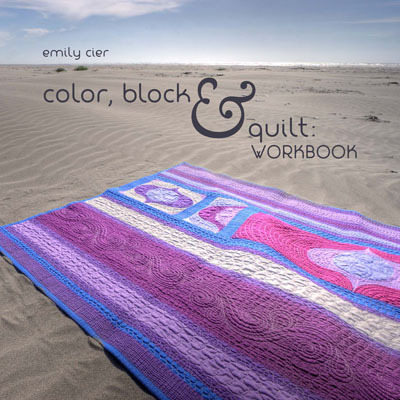 Quilters crafting a creation from Color Block & Quilt need the Workbook. Well, you don’t need it, strictly speaking, but it sure could help to have a paper models of the quilt you’re going to make in order to get it just perfect before you put thread to fabric, couldn’t it? Besides, how often do you have such a good excuse to haul out that paste and scissors and play with miniatures? All the other quilters will be jealous — and you’ll be spoiled for the next time you want to create a quilt that doesn’t have a Workbook! Both books are in the shop available for pre-ordering with an expected ship date of mid-December (I’ll update here on the blog if there is any huge change in that). You can purchase the Book and Workbook individually or together for a discounted price. 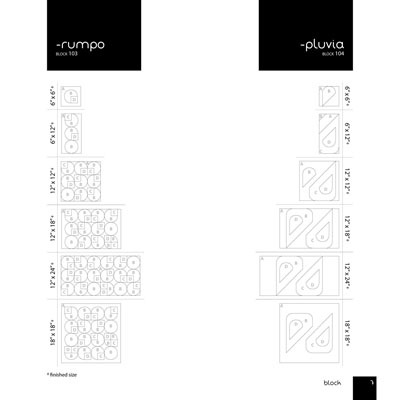 Special treat for the first 15 orders — fabric! Little bundles of Kona Cotton to get you started on your Color, Block & Quilt journey! 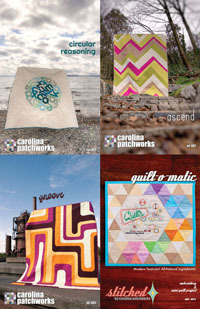 Wholesale customers, please email me — emily at carolinapatchworks dot com — for ordering information! Next Next post: Aurifil Christmas Ornaments: all together! Woohoo! Let the coloring and blocking and quilting prepare to commence! Did the bundle order ~ really looks wonderful! Can’t wait to get them! Really cool concept. Can’t wait to see it! Congrats! Thanks all! I’m super excited! Pingback: Quilting Is My Therapy » Need a little color? 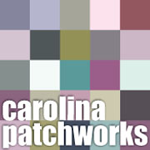 Pingback: Carolina Patchworks · Color, Block & Quilt … a good mail day! 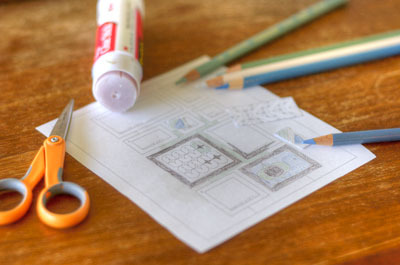 Pingback: Quilting Is My Therapy » Little bits! Oh, boy! 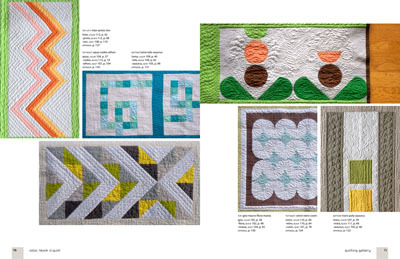 I just saw peeks of one of the quilts in your book at Angela Walter’s blog and I just have to get this book now. 😀 It looks like so much fun!